Sony, Nissan and The Potato Council have signed up as the first advertisers on Microsoft's revamped MSN platform. Microsoft, which revealed last month that it had rebuilt the portal from the ground up in a bid to boost the site’s popularity with advertisers and consumers on desktop and mobile, has relaunched the cross-device platform this week, for a "mobile, cloud-first world". Sony Mobile is running a campaign on the site that includes a homepage takeover to drive awareness of its Xperia Z3 smartphone. Nissan will become the launch advertiser on MSN Cars, appearing on the channel for a fortnight to promote its Nissan Leaf electric car. It is also sponsoring MSN’s Innovation channel. Meanwhile, The Potato Council will sponsor MSN’s Food & Drink channel; and brands including Lexus, Tetley Tea, Virgin Holidays and Citroen are also lined up to advertise on the site. 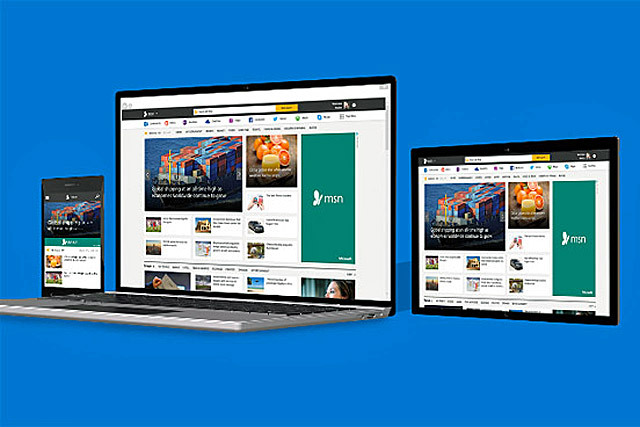 The "all new" MSN combines a web search service, apps that work across multiple platforms, and devices and operating systems, including Windows 8 and Windows Phone, with iOS and Android-compatibility to follow shortly. MSN competes with homepage sites such as Yahoo and AOL and has been revamped several times in the past few years. The site carries content across 10 areas – news, entertainment, sport, money, lifestyle, health and fitness, food and drink, travel, cars and video – and uses media content from partners including Sky News, The Guardian and The Financial Times. Owen Sagness, Microsoft’s UK general manager for advertising and online, said: "The new MSN has been built to reflect changes to consumer behaviour and the evolving ways people both discover and consume content. "The revamped platform offers brands enhanced opportunities to talk to their audiences wherever they are, regardless of screen or ecosystem." Yesterday, Google launched a series of ad formats on its mobile platform to entice more advertisers.